​Over 50% of searches begin on a mobile device. So it is very important that your website is mobile responsive. This means your website will display correctly, no matter the size of the screen. Mobile devices are now one of the most commonly used platforms. Responsive web design is the ideal way to tap into the vast potential of the online presence. Google likes responsive websites and with over 1 billion smartphone users, the need to have a responsive web design that is compatible on small devices is a must. Investing in a responsive website will pay dividends in the long term. You will no longer have to worry about how your website design adapts as new devices enter the marketplace. ​​h2o have a long history with responsive web design.  We have been building mobile friendly websites before it was a trend in web design and long before Google made it a ‘must have’ in early 2015. Do you have aspirations of online excellence? Then get in touch, we'd love to hear from you. Thank you, we'll be in touch real soon!